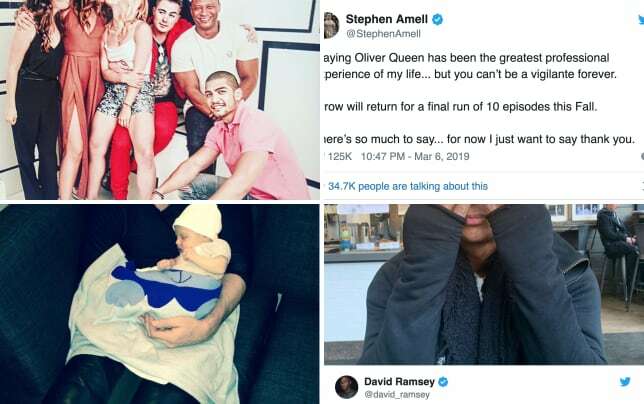 With the news that Arrow is coming to a close after its forthcoming eighth season, many cast members have led the tributes for the series. 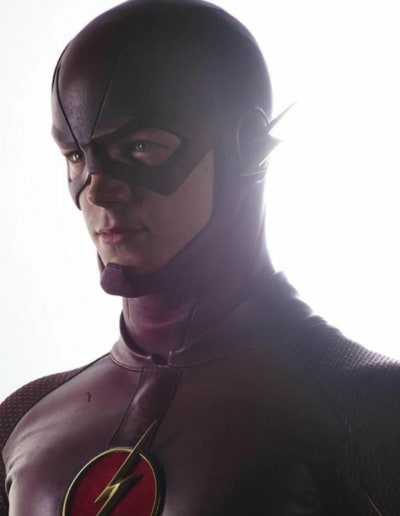 The Flash star, Grant Gustin, is the latest to weigh in on the news. “We don’t get to see a lot of each other, because we both work very similar schedules, on different shows, for 9 1/2 months out of the year. But when we’re brought together for those grueling crossover episodes, it always results in something pretty special,” he wrote on Instagram on Saturday. “And not JUST a special kind of hell. It’s just absolutely bananas to stand around with that many people in super suits, and get paid to play make believe on tv," he added. It kinda just hit me this morning that Arrow will be leaving us next year. Ever since I started doing this, it’s always been “Flash & Arrow” (or really this should of said “Arrow & Flash” on it’s cover....right, Stephen? )We don’t get to see a lot of each other, because we both work very similar schedules, on different shows, for 9 1/2 months out of the year. But when we’re brought together for those grueling crossover episodes, it always results in something pretty special. And not JUST a special kind of hell. It’s just absolutely bananas to stand around with that many people in super suits, and get paid to play make believe on tv. It’s something that wouldn’t happen year after year if it weren’t for the groundwork that Arrow, Stephen and the whole cast and crew laid for us. Not just that, but Stephen has always brought a different kind of passion to his show and the whole Arrowverse. It’s always been clear to me how much it means to Stephen to have the privilege of getting to go on this journey as Oliver Queen. And how much care he’s always put towards it. I will never forget ohh soo many memories we shared together during our hundreds, if not thousands of hours of crossover filming. Thank you to everyone who was a part of making Arrow for letting me come on this journey with you all. Congratulations on a badass show that will live on forever. I’ll never forget binge watching season one and being scared shitless my first day on set, seeing you all in person. Stephen, you’re a legend. Maybe this means we can hang out more? "It’s something that wouldn’t happen year after year if it weren’t for the groundwork that Arrow, Stephen and the whole cast and crew laid for us,” he said of Arrow's legacy. “Not just that, but Stephen has always brought a different kind of passion to his show and the whole Arrowverse." Related: CW Renews 10 Dramas: Which Shows Missed the Cut? "It’s always been clear to me how much it means to Stephen to have the privilege of getting to go on this journey as Oliver Queen." "And how much care he’s always put towards it. I will never forget ohh soo many memories we shared together during our hundreds, if not thousands of hours of crossover filming." Amell was taken aback by the lengthy message, and it sounds like he shed a lot of tears. "Grant... I'm in a public place. I was not ready for this," he wrote back. 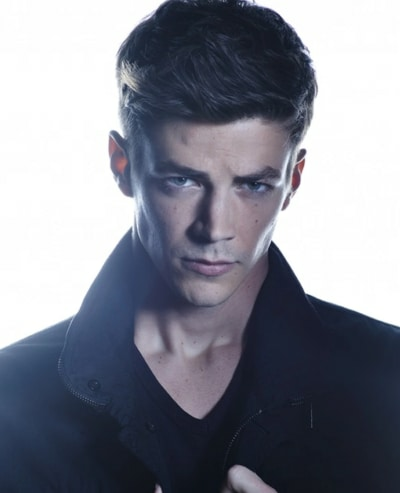 Gustin first appeared during Arrow Season 2 as Barry Allen aka The Flash before landing his own spin-off series. But Arrow was the show that started the Arrowverse which currently includes the aforementioned Arrow and The Flash alongside DC's Legends of Tomorrow and Supergirl. The CW confirmed Arrow's upcoming eighth season would be its last week and that it will span just ten episodes. What are your thoughts on Gustin's kind words? Remember you can watch Arrow online right here via TV Fanatic. Arrow airs Mondays at 8/7c. One mystery I cannot figure out is why some people come into our lives and why some people go. Others become a part of you. Some friendships feel like they'll last forever and others end far too soon. Not every friendship is meant to last forever. What does last forever is the pain when that person is gone. Well here's how scared I am of you. My name is Edward Clariss. Rivals should know each other's names. 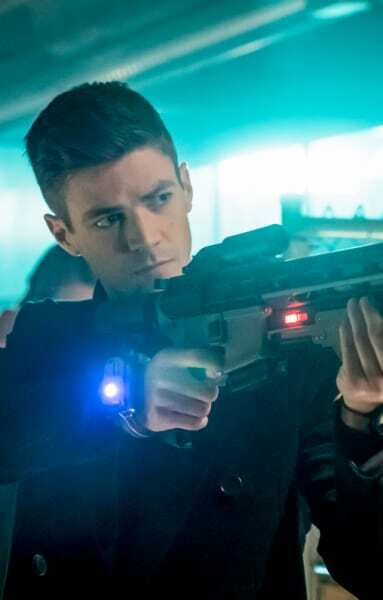 The Flash Promo: What Happened to Barry Allen?